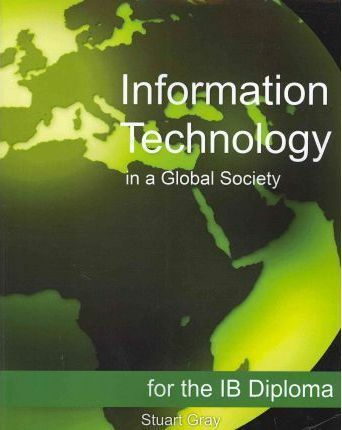 Information Technology in a Global Society is the first textbook written specifically for the new IB ITGS syllabus, covering IT systems, social impacts and ethical issues, and each area of application. The text provides engaging content that blends clear examples of technical concepts with consideration of social issues. Discussion points for extended independent learning and complete, modern examples are included to enhance teaching and understanding, and ensure students get the best possible experience from the ITGS course. A free sample chapter is available on the book's web site, www.itgstextbook.com. Textbook features include: Clear objectives for each chapter, tied directly to the ITGS syllabus, so you can be sure that all aspects of the course are being covered. Course content is explained through clear and up to date examples, plus historical context. Over 200 varied exercises, mixing ethical discussion points, classroom exercises, practical activities, and exam style questions to cover the syllabus content from a variety of assessment angles. Theory of Knowledge (TOK) links are included, enabling integration with the IB core hexagon. Common mistakes and misconceptions are highlighted so students can avoid them. Key language review for every chapter, plus a complete glossary of ITGS terminology. Over 300 diagrams, photographs, and illustrations to bring topics alive. Fully cited examples in every chapter mean students can extend their learning with wider reading-an essential part of IB courses. Free online support to extend learning with additional case studies, links, and activities (www.itgstextbook.com). Edition Statement Black and White ed. Stuart Gray has been teaching in international schools for ten years. He has extensive experience of teaching the IB Information Technology in a Global Society course with a variety of students, including second language learners. In Tanzania he was responsible for planning and implementing the ITGS course for the school's first intake of IB students. He has been an IB examiner and currently works at Academia Británica Cuscatleca in El Salvador.